Mobile marketing growth is explained in this second of two podcast interviews with Michael Becker. A leader in the industry, Michael heads up the North American division of the Mobile Marketing Association and the Direct Marketing Association’s Mobile Advisory Council. Michael has over 15 years of technical and business development experience, with a special emphasis on wireless multi-channel messaging communications technologies. He specializes in SMS, email, IM, MMS, EMS, the Web and the mobile Internet. Prior to iLoop Mobile, Michael founded and ran a marketing consultancy, acted as Director of Marketing at Ecrio Inc., and worked at Hewlett-Packard as International Business Development Manager. He’s also spent a number of years living in Tokyo where he worked for A&D Engineering. 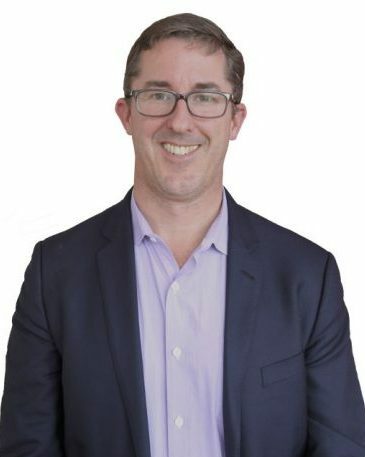 Michael holds a BS from Saint Mary’s College and an MBA from Santa Clara University and teaches International Business Strategy at Golden Gate University. Before Direct Marketing Education Foundation awarded Michael the 2009 Rising Stars Award, he won the 2007 Mobile Marketing Association Innovation of the Year award. Michael founded and co-edits the MMA International Journal of Mobile Marketing, and contributed and co-authored Web Marketing All-in-One for Dummies. He’s written over 70 articles and conducted hundreds of mobile marketing growth seminars. iLoop Mobile is a leader in mobile solutions and services for interactive mobile marketing and mobile content distribution. The company’s software platform enables brands, agencies, direct marketers, content owners and other companies to create compelling and effective mobile marketing initiatives worldwide. Its resource center contains a wealth of information on mobile marketing. When Michael isn’t cooking “mean lasagna” for his friends, he’s either flying, speaking or writing about mobile marketing growth via best practices via the Mobile Marketing and Direct Marketing Associations. To Michael, mobile now drives all communications going forward–whatever the mobile device, for personal use or commerce. He speaks of the “untethered engagement” as the central focus of one-on-one relationship marketing with mobile phone consumers.Unlike earlier days, he denies the previous paradigm (“if we build it, they will come”). While reading Michael’s writings–some academic–you quickly sense his desire to change traditional marketing thinking. Instead of telling consumers what they need to buy, he stresses listening to and engaging consumers in a conversation. Doesn’t sound like General Motors, does it? According to Becker, the Internet and wireless technologies have shifted control to the customer. Customers are part of “value delivery” and high participation. Marketers must create “mutual value delivery” as interactive media, such as mobile, forces marketers to listen to consumers. Interactive media provide multiple modes of communication. Each mobile device, per Michael, is a different channel of communication that influences consumer response to marketing messages. An iPhone is not a BlackBerry; an LG feature phone is not a Nokia smartphone. The operating systems, browsers, cameras, mp3 players, screen sizes are all different and affect direct response and other user behavior. Today’s consumers choose their preferred communication channels–mobile, email, Web, broadcast, or contact center. If Michael were to re-phrase Marshall McLuhan’s well-known phrase “the medium is the message,” he’d say that “the iPhone is the message” or “The G1 is the message.” The mobile phone has the highest adoption rate of any communication channel in human history, now at over 6 billion and growing quickly. Worldwide mobile Internet use has risen to 24% and substantially higher in the United States due to smartphones–the fastest growing segment of the mobile handset market. With newspapers in decline, consumers ditching land lines for mobile (80-85% U.S. penetration), brands continue shifting their marketing budgets elsewhere. In most cases, consumers use their phones to access the Internet, engage with mobile applications and talk to their friends. This doesn’t mean that mobile as a marketing channel stands alone. Smart marketers allocate their marketing and advertising budgets for the highest response rates. Mobile is part of integrated marketing campaigns. Mobile as a marketing tool is relatively young. To some marketers, mobile’s ecosystem of brands, ad agencies, mobile marketing firms, website designers, publishers, carriers, aggregators, ad networks, mobile email providers, application developers, regulators, and end-users appears complex and challenging. However, Michael says the mobile ecosystem is not more complex than the Internet’s except, perhaps, the addition of carriers. The mobile ecosystem began in 1983 when Motorola introduced the first cell phone and the GSM standard was established in Europe. According to Michael, when the ecosystem began, marketers considered it immature. Since then, the mobile ecosystem has continued maturing.